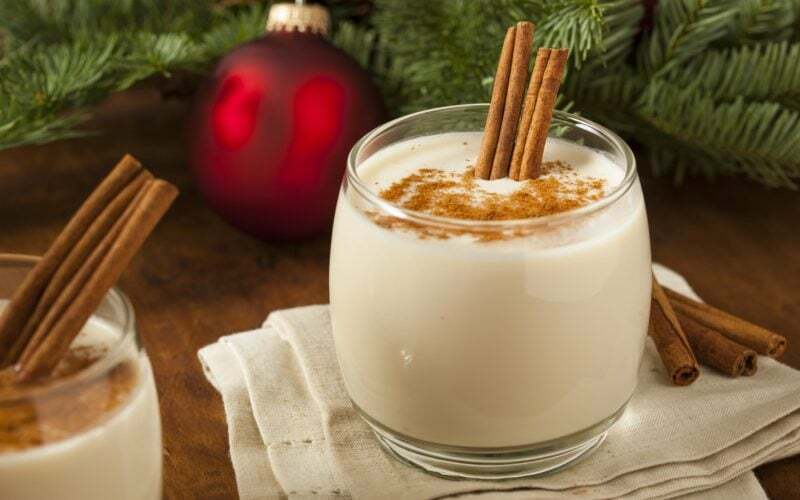 Eggnog just goes with the holidays, and I’d even guess that it’s one of the biggest holiday cheats. I mean… how can you say no to eggnog at a party? Well, you don’t have to! You can just bring your own homemade Keto Eggnog. This recipe is under 12g net carbs per serving, whether you add alcohol or not. It also has 34g of fat and 6.5g protein! The secret here is to use a 0 carb liquid Stevia and Bacardi Superior rum, which also has 0 carbs. ** For an alcoholic version, you can add Bacardi Superior, which has 0 carbs (but adds 96 calories). If rum isn’t your thing, here is a list of the amount of carbs in other liquors. Put the milk, cinnamon sticks, cloves, and 1/2 tsp vanilla into a large saucepan. Put it over the lowest heat setting on your stove for 5 minutes. In a separate bowl, whisk together the egg yolks and stevia. Turn the heat under the milk up to medium-high heat. Remove the cinnamon sticks. Stir the milk constantly until it just starts to boil then immediately turn off the heat. Slowly whisk in about 1/4 of the hot milk into the egg/stevia mixture. Then pour all of the egg/sugar mixture back into the saucepan and whisk it all together. Put it over medium heat, whisking constantly, for 3 minutes. It will thicken a bit. 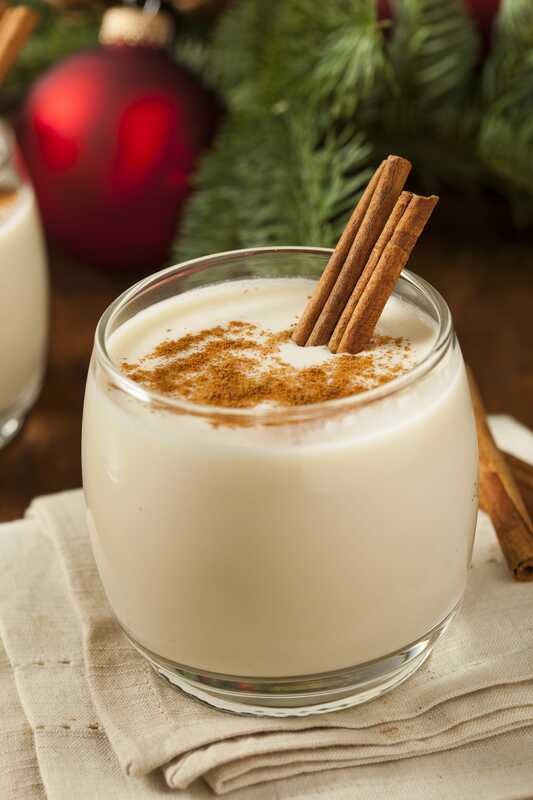 Pour the hot eggnog into a large bowl or beverage container and let cool at room temperature for 1 hour. After 1 hour, stir in the heavy cream, 2 teaspoons vanilla, and nutmeg. Store in the fridge and allow to cool for at least 4 hours before serving.